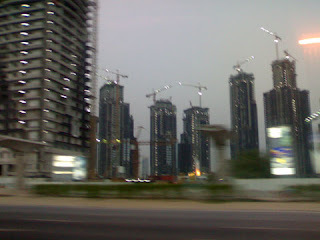 Dubai is experiencing high construction plans and projects these days. There are still lots of halfway projects in Dubai: residential, trade zones, complexes and etc. Maybe more than half of these projects are held by Iranian investors because they have found Dubai a safer place to invest in. It's a pity for Iran's Economy and I regret it, but Economy has been always proved itself as un-magisterial and logical. As a result of this attention Dubai receives from constructors, this city is attracting retail investors' attention too. There are lots of Iranian rushing to buy a property in Dubai for the benefits and the scope of the future also. benefits like having a permanent residential VISA permission or ability to rent the house. Right now the rate of rent in Dubai is nearly 13 percent of the value of the property per year which is quiet good comparing with Iran's 7%.